The Department of Veteran Affairs, or the VA, is characterized by a specific focus that requires a wide variety of individuals to perform. Their mission statement, “To fulfill President Lincoln’s promise ‘ To care for him who shall have borne the battle, and for his widow, and his orphan’ by serving and honoring the men and women who are America’s veterans,” is a solemn vow to support those who were willing to lay down their lives in the defense of America. It is an honorable, though not always glamorous, line of work. Given supporting veterans of the United States of America not only requires a cadre of bureaucrats and lawyers who know the intricacies of Washington and are willing to use this knowledge on the veterans’ behalf, but also medical personnel, staff for outreach centers, and more, you have a better chance getting a job with the Department of Veteran Affairs than with perhaps any other central government agency. “War is Hell.” The words of General Sherman ring true even today. While many wounds are treated on the front lines, persistent injury and mental scarring both end up under the umbrella of Veteran Affairs. Operating 827 outpatient clinics and 152 hospitals, the VA has need of everything from nurses and technologists to medical doctors and pharmacists. 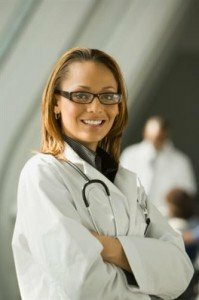 As the medical profession focuses rather intently upon credentials, college degrees are incredibly important and range from a 2-year degree for radiologic technologists or a 4-year degree for registered nurses to terminal professional doctorate degrees for both medical doctors and pharmacists. If you desire more information on these rather complex degree paths, see the linked requirements. With 300 VA Centers, and 56 Regional Benefits Administration Offices, the VA has need of bureaucrats and businessmen just like any other agency. Unlike most employers, however, Veteran Affairs tends to draw internally and forces most applicants to start at the very bottom of the totem pole. As such, simply being a United States citizen is enough to get your foot in the door in some cases, though a high school diploma and a relevant college degree will vastly improve your odds of both getting that first position and progressing further through the ranks of Veteran Affairs. Unlike central government agencies, such as the FBI and the CIA, the VA does not handle sensitive information. As such, the agency does not require you to have security clearance. What it does require you to have is a high level of competence in order to help our honored veterans. This comes in the form of KSAs, which is short for Knowledge, Skills, and Ability. KSA’s are delivered by potential candidates in essay format. For example, the VA may wish to know how you are proficient with GC/MS, an analytical technique typically used on volatile oils and other small chemicals. Your answer should encompass how you learned the theory behind it, how you became exposed to the tool itself, and how you operate the tool. Initiative - You did this on your own. Innovation - You found a way to do this better. Leadership - You led a group on the path to doing this. Teamwork - You did this with a team. Complexity - You solved a particularly complex instance of this problem. Scope - You saw the big picture and didn’t treat the rest of the world as a magic black box.